The Islands – 58 x 92 inches – Oil and Acrylics on canvas – November 2018. Painted for Fig leaf Salon, on Figarden Blvd., Fresno, California. The shop had a large bare wall after a remodeled construction. This eight foot wide painting fit nicely in the ten to eleven foot space. 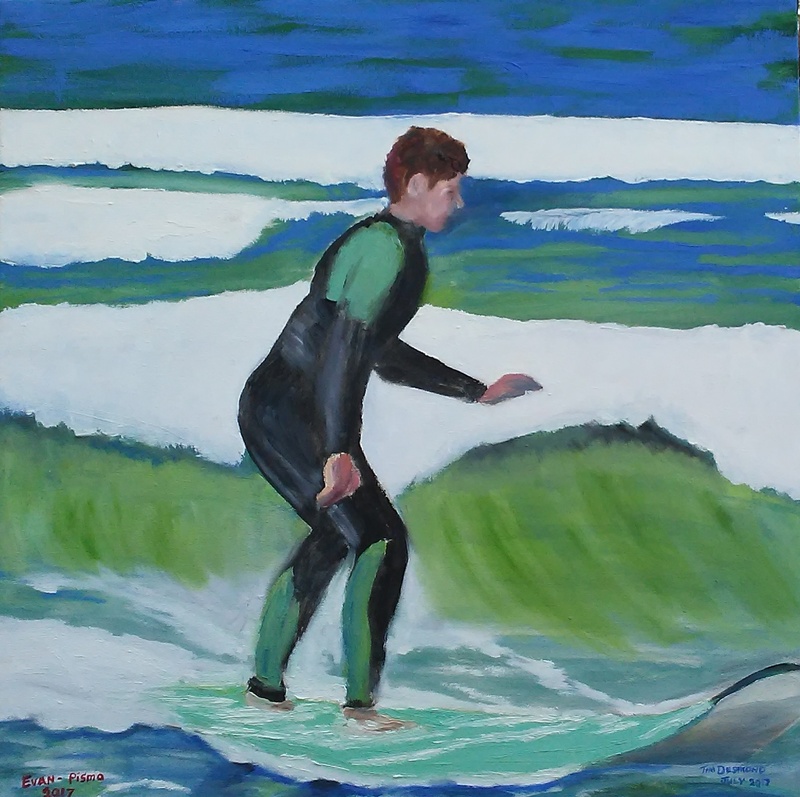 This oil based enamels on 48 x 38 stretched canvas was finished last month and entered into The Big Fresno Fair. It is still on display there until next week. This was from June 2017 at Pismo Beach, California. He is 12 years old in this depiction. I will have to decide later if this is a portrait or a seascape. This for the 2015 “Black and White” show at Chris Sorenson Studio and Gallery, at south Van Ness and Railroad, Fresno, CA. It is a battle line of the 3rd confederate Infantry Regiment in Cleborne’s Division in late 1864. It will be there all of May and is for sale. That’s the rules. This a first, as it was never shown before. 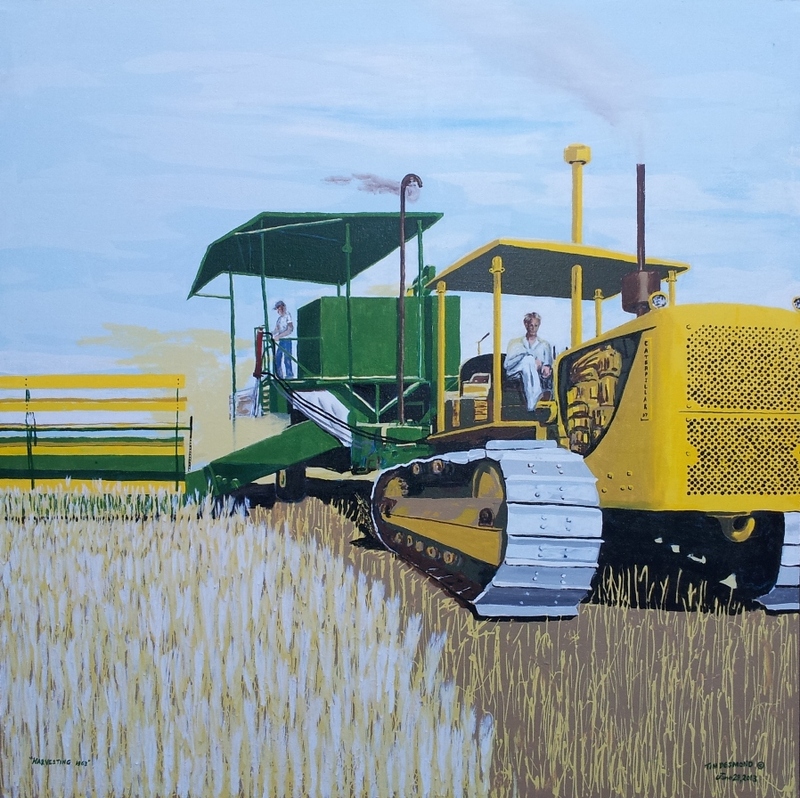 Currently at Fresno Fair – In the Arts building until October 14. 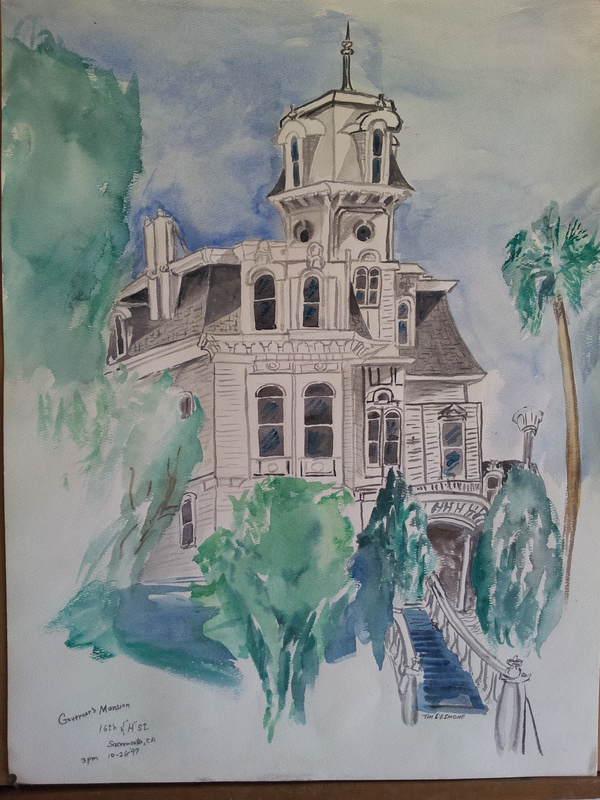 This is a painting of the Kearney Mansion, in Kearney Park, Fresno, California. 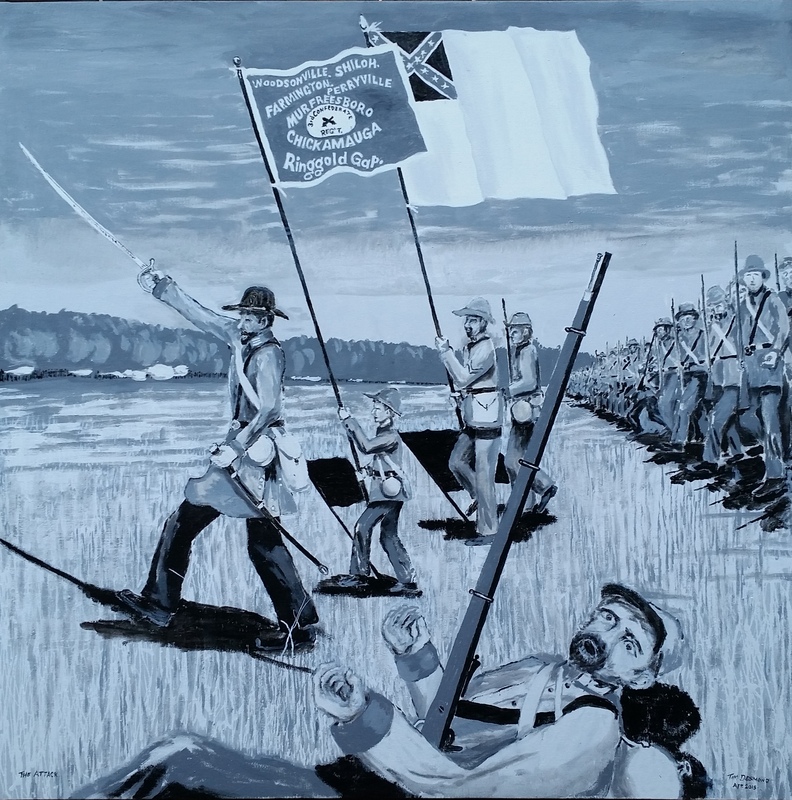 It was painted as a fundraiser and raffled to raise funds for a stone monument in memory of California’s Confederate Veterans of which there are over 2,000 ancestors buried throughout the state. 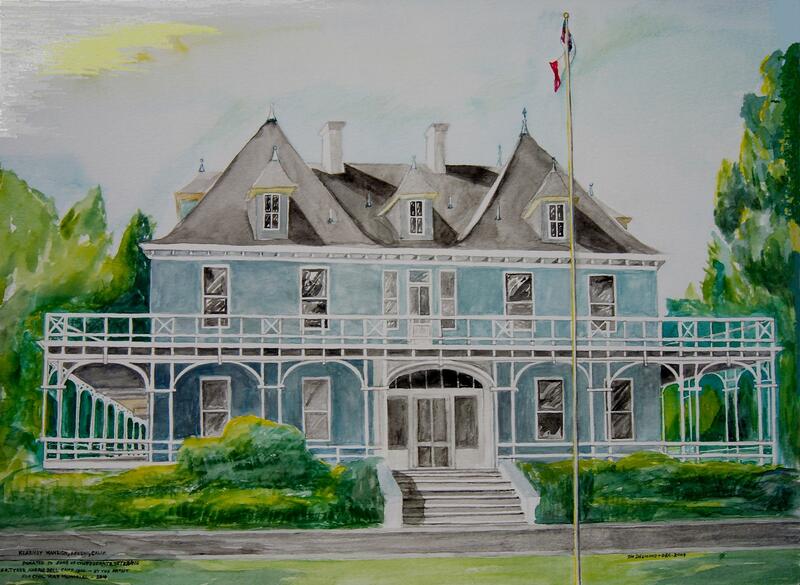 This website is the new location for Art by Desmond website. Yes it is a basic blog site. But, it has all the clean look and none of the complicated templates of other hosting sites.